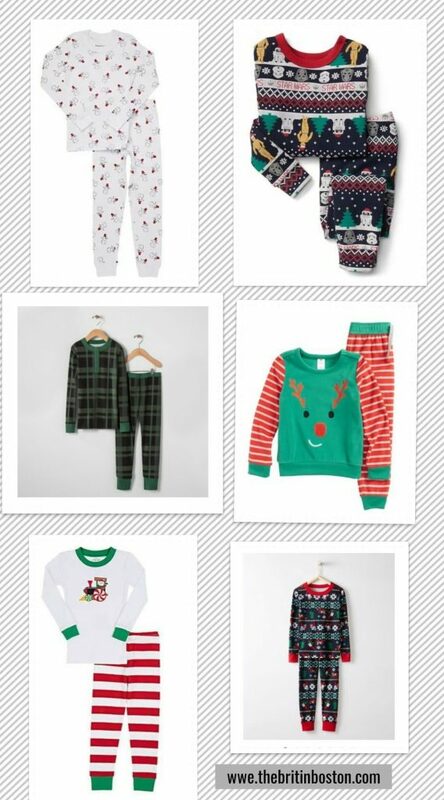 If like me you love this time of year and all the decor and festivities that go with it then you probably also like to buy annual Christmas pajamas for your family too! 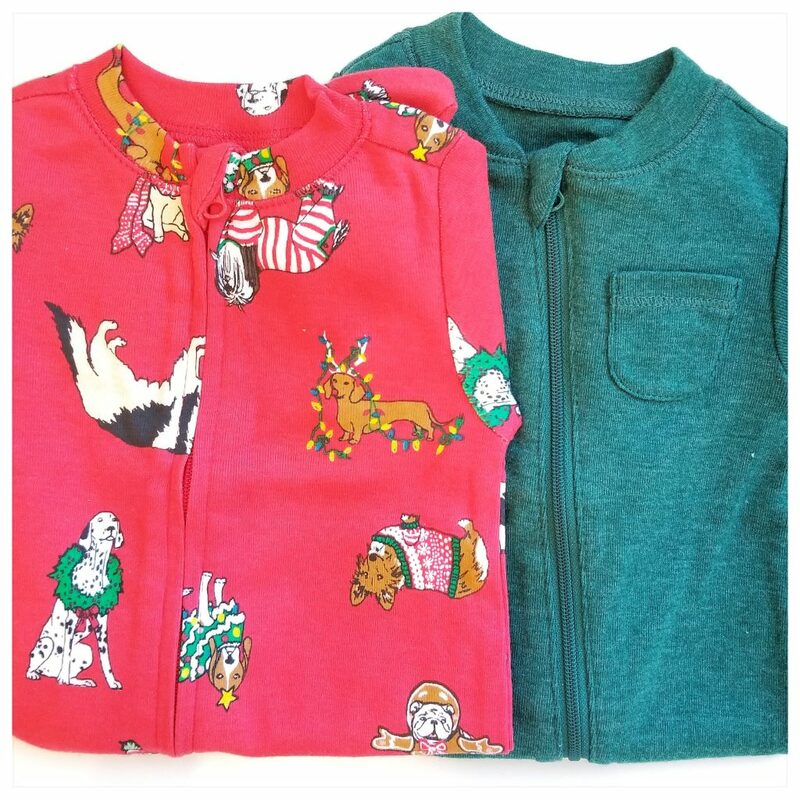 We will have a 3rd addition with us for Christmas this year so along with all the cute baby clothing I’ve also bought a few (probably too many) Christmas baby grows as well as kids Christmas pajamas for my 2 older boys (3 and 7 years). 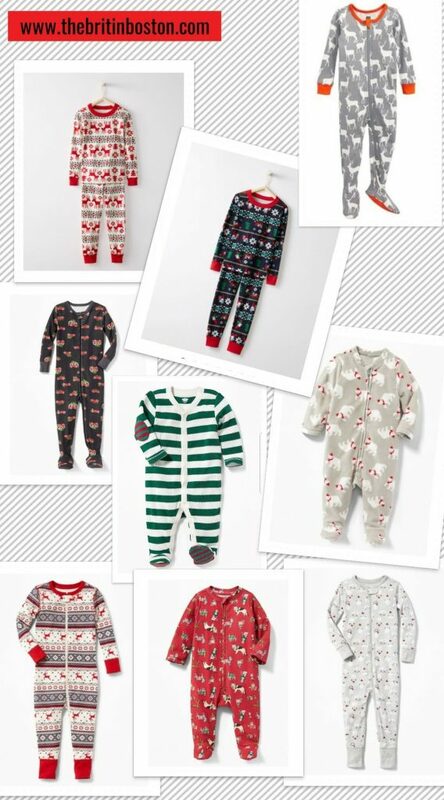 I’ve done a round up on here of my favourite kids pajamas and baby onesies after scouring the stores and online and with Black Friday coming up and some stores already having sales you will definitely find some of these at bargain prices! 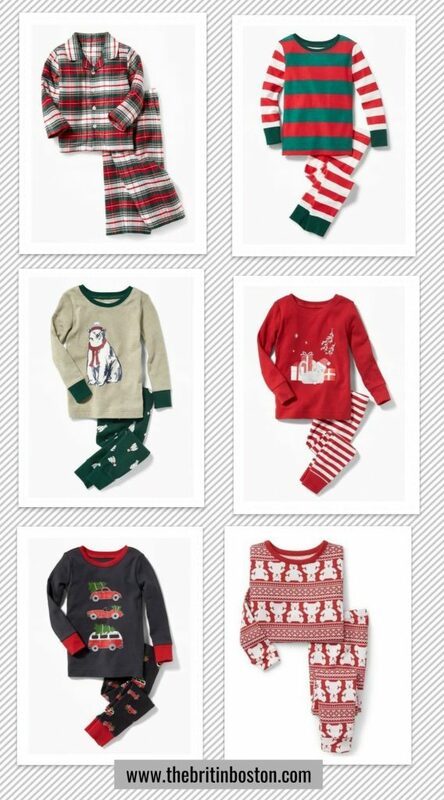 Pictured are some of the styles I got for the new baby from Old Navy, which I love and are also linked below in the round up below. Old Navy is currently giving Super Cash back on purchases over $35 to be used on products at the end of the month. 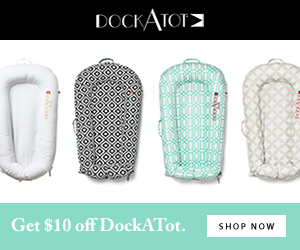 Green striped thermal-knit footed one-piece – comes in red stripe too! 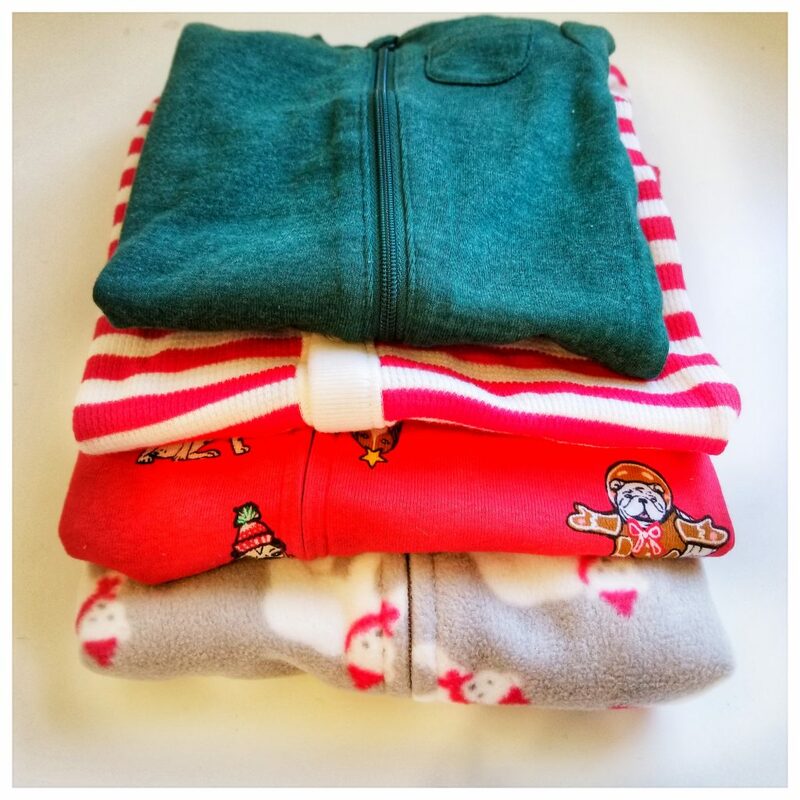 Bear Fair Isle pajamas – we had these last year, one of my favourite! I love buying my girls Christmas jammies! It’s fun to see them all cozy and festive when they are opening presents!